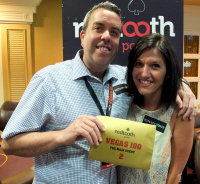 In 2012, not long after another successful Redtooth Poker National Final in Nottingham, Redtooth’s MD Martin Green came into the office and said “next year we are taking 100 players to Vegas”, the rest of the office weren’t quite sure whether this would actually happen or if it did happen, how it would work with taking so many people to a place like Las Vegas, let alone the financial implications from a trip on that scale. Well, we only went and did it and WOW, it even exceeded our expectations! The total count was 170 people spread across three different flights from three different locations all with the same destination, the Orleans Hotel and Casino, Las Vegas. 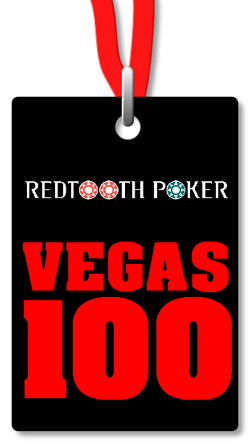 Since the Vegas 100 brand was created, it has simply grown and grown and the potential of this concept is HUGE! 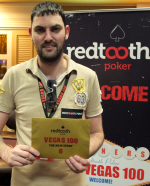 There are very few poker tournaments in the world that is exclusive to champions, no other tournament takes the best players from all 4 corners of the UK and takes them to the poker capital of the world, giving them one of the best poker battlefields to check-raise and bluff their way to become the champion of champions. Only one of these 100 champions would return undefeated leaving the other 99 in their wake, but still knowing they have all achieved and experienced so much simply from going to their local pub and playing some cards. Welcome to VEGAS 100. 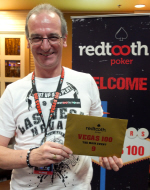 Sunday 12th May was the date for the Vegas 100 National Final and the time was 12pm in Las Vegas when the Tournament Director announced ‘shuffle up ‘n’ deal’. 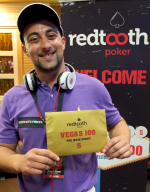 The tournament had our best blind structure to date with every player starting with a monster stack of 20,000 chips as the idea was for every player to have a good session of free poker in Las Vegas. I guess it worked to perfection as it took nearly 1 hour 30 minutes of play before we lost our first player. The unlucky player was Rick Makin from George VI in Atherton. 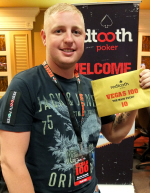 Ironically, Rick is probably Redtooth’s most successful player after winning many pub leagues, qualifying for every National Final multiple times and even finished in 2nd place to Daniel Blackburn in 2010’s Redtooth Poker National Final. Rick was very unlucky as his K-7 was up against 5-5 on a K-7-5 flop! Rick made his way to the rail to a monstrous cheer and applause from every player and guest on the trip. After the break we slowly lost player after player with every single elimination receiving a round of applause from everyone attending. Something that has probably never been experienced in a poker tournament and just shows the amount of respect each player had for one another. The final table got under way around 10 hours after the tournament started with Chris Rudd leading the way, closely followed by Cemal Geceli. 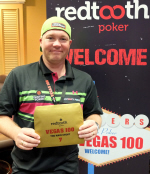 The first player out was Gavin Powell in 10th place who had his fair share of misfortune the hand before he was eliminated. This gave Mark Tansey a playable stack after starting the final table as the short stack. 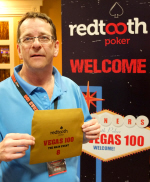 The next player out was Dave Fry in 9th place who was followed by the top performing Welsh player Gary Rosser in 8th place. 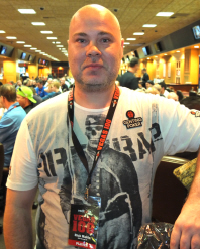 Glenn Brown who nursed a short stack all the way through the tournament played excellently to reach the top 7 before being eliminated in 7th place. Our two big stacks at the start of the final then hit the rail soon after Glenn with Chris Rudd in 6th and Cemal Geceli in 5th. 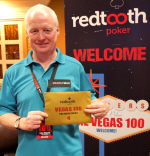 The then short stacked John Wignell was eliminated in 4th place with Jon Chappell finishing in 3rd place leaving us with a heads-up contest between Bobby Regan from Blyth and Mark Tansey from Derby. The heads-up match started fairly even chip wise with the chip lead exchanging hands on a regular basis. The final hand was nothing but a ‘cooler’ as Bobby held Q-8 to Mark’s J-7 on a 7-Q-8-J board before the money went in. A meaningless 9 on the river brought the 11 hour final to an end in style. 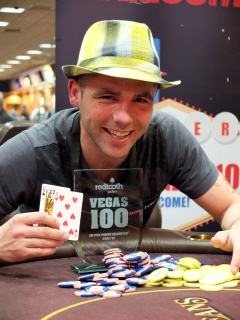 Please welcome the new UK Pub Poker Champion….